A leaked memo suggests that Google may be about to make a very smart move that could bring some order to the chaos of the Android operating system. The memo was reportedly sent out to several of the Android world's leading 'original equipment manufacturers' (OEMs) - in other words the people who actually make the smartphones and tablets that run versions of Google's mobile OS. In it, according to Mobile Bloom, Google gently suggested that unless new Android devices were released with the most current version of the OS then it might withhold access to certain key Google services like Maps or the Play store, collectively known as Google Mobile Services or GMS. Under Google's new regime, each major Android OS release would have a GMS 'approval window' that closes roughly nine months after the next OS release. If a vendor tries to launch a new device with an older version of Android after its approval window has closed then Google will simply bar that device from using Play, Maps, Gmail and all the other GMS goodies. The reason for this rule change is fragmentation. 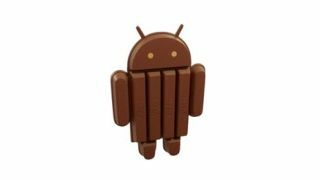 Google's most recent figures show that around 60% of Android devices are running some flavour of Jelly Bean while the latest release, KitKat, is on under 2% of systems. Perhaps more worryingly, Honeycomb (Android 2.3.x) is still on 20% of devices and there are untold numbers running versions older than 2.2 as that's the point where Google's census cuts off. By way of contrast, Apple recently crowed that in the magical land of iOS more than 80% of devices are now running the latest version of the OS, iOS 7. One of Android's strengths is that it is easily modifiable to run on different hardware and that OEMs can build cheap, low-end phones and tablets as well as premium devices. The downside to this freedom is that there has been nothing to stop vendors cooking up their own custom builds of Android and then dragging their feet over updates. Until now. "I can count on one hand the number of OEM 'enhancements' to the basic Android OS that have actually made it better for consumers." There are arguments against this kind of crackdown, however. A deep re-skinning of the Android OS is one of the few tools at the OEM's disposal that can help carve out a real brand identity for a new device. The basic template for the generic smartphone is well established and without the ability to 'add value' in software, the argument goes, then the new phone will be a generic slab with only the number and placement of hardware buttons and quality of its camera to tell it apart from all the other glass oblongs. The reason that existing smartphones can take a long time to receive OS updates - often many months after the official release from Google hits the current flagship Nexus handset - is that OEMs feel the need to make their mark on the new code, adding interface tweaks and changes to core OS functions to make their devices more distinct and support their value-added services. The counter-argument is that I can count on one hand the number of OEM 'enhancements' to the basic Android OS that have actually made it better for the people who use the phones day-in, day-out and still have enough fingers left to do a decent multi-touch gesture. The recent Android releases have solved most of the interface niggles that resulted in heavy-handed skin jobs like HTC Sense and while a complete look 'n' feel change may help boost the brand it does little to make the phone or tablet any simpler or more pleasant to use. OS fragmentation might seem like the kind of problem that is only obsessed over by phone nerds and people already in the industry - after all, many consumers don't see their phone as an 'Android' device at all but rather a Samsung or a Sony or whatever. It does give the Android OS a disadvantage however and a good case could be made that it is the stability and uniformity of iOS that attracts developers. More developers means better apps, means happier users. Android has done remarkably well considering it has to support a huge range of hardware and the wide spread of OS versions has still, somehow, given rise to a healthy app ecosystem that is finally starting to reach parity with iOS. Imagine how much more could be done if OEMs could be persuaded to add their personal touch in other ways - through better hardware, bundled services, better launchers, bespoke apps - if all this exists outside the main OS it can be kept up to date and bug-free without having to match pace with the rest of the OS. If Google can use its muscle to get all new Android devices on the same page it must be good for developers and, ultimately, better for you.